By Agus in WordPress. Updated on February 28, 2016 . 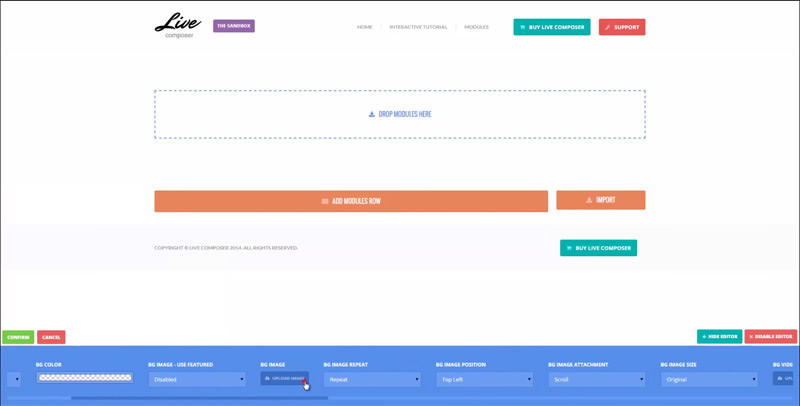 Build HTML Bootstrap layouts with LayoutIt! For designers and developers, we would love to have the drag-and-drop approach when building and organizing a page layout. In building a WordPress site, for instance, the drag-and-drop method would help save a lot of time. In this post, we have put together 7 plugins that add this functionality into the WordPress editor. If you know of more cool plugins let us know in the comments. Page Builder is a plugin that allows you to build responsive grids by customizing the division of each column and row within the grid. The plugin also carries a handful of layout modules which allow you to add content like Gallery, Image, Video, Buttons, and even Price Boxes. 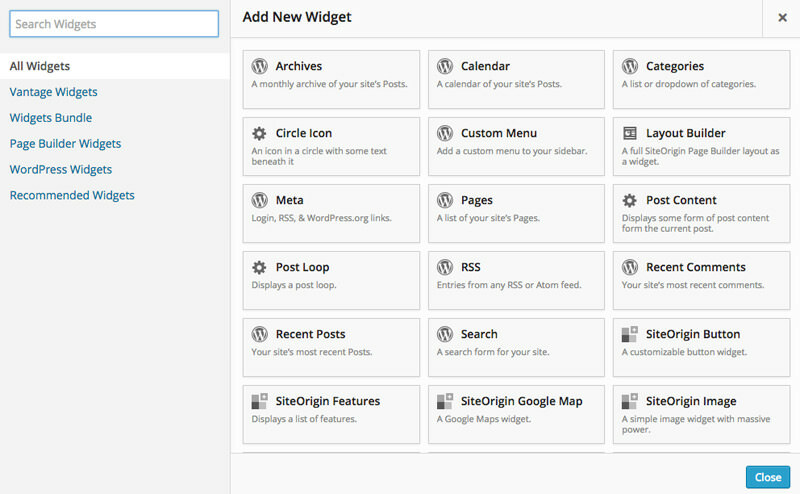 The new layout modules can be added through the WordPress Widget API. PixGridder allows you to divide your page content into grids easily. After creating the columns, you can add text to the content in each column, customize it with the WordPress default text editor, or fill it with content through shortcodes. The plugin also brings all the functions available in the WordPress default text editor for each column. 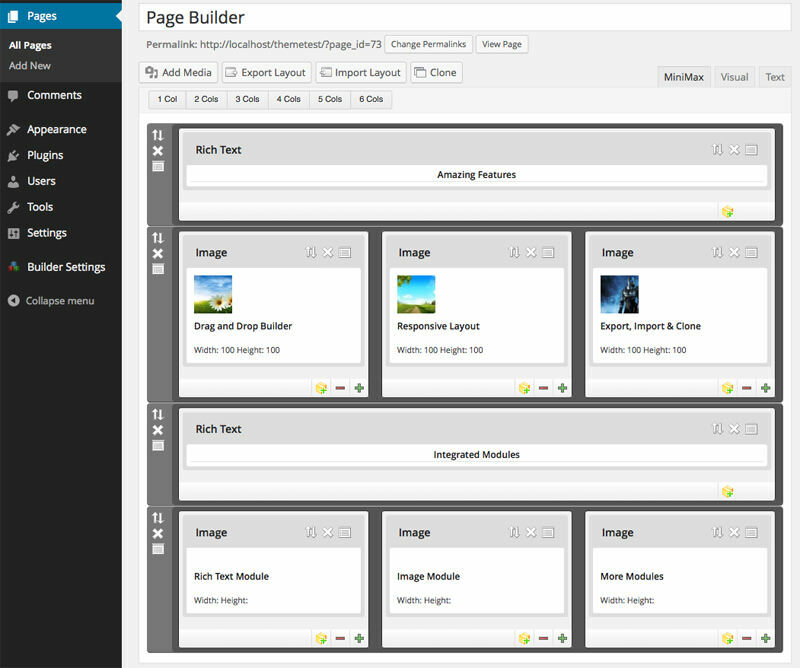 Aqua Page Builder lets you create unique variations of templates to be applied for your content. Drag one or more available blocks into the template builder, name and save the template. Use the generated shortcode to apply the template to your pages or posts. 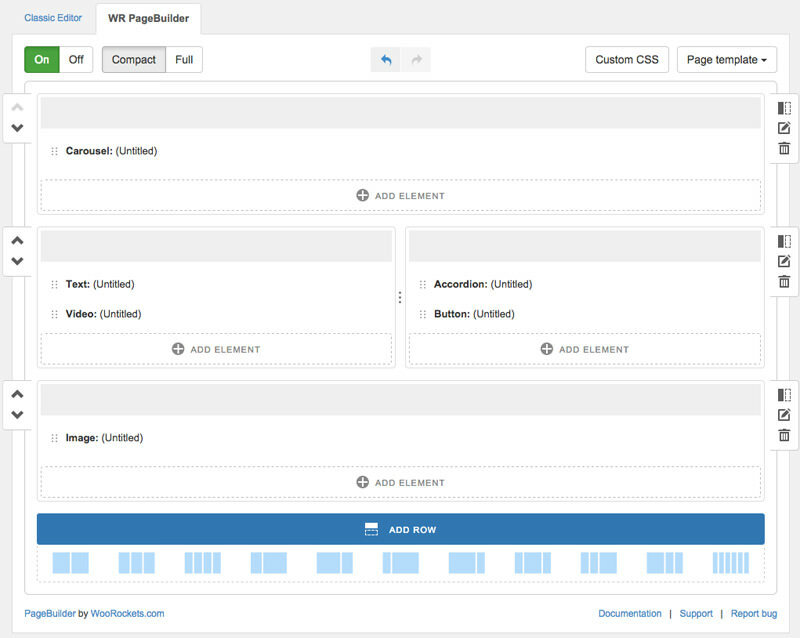 With WR Page Builder, you can add layout modules such us buttons, pricing tables, progress bars, alerts, and more into your post or page. This plugin provides tons of customization options in each of the modules — you can change the colors, text or images, among others. 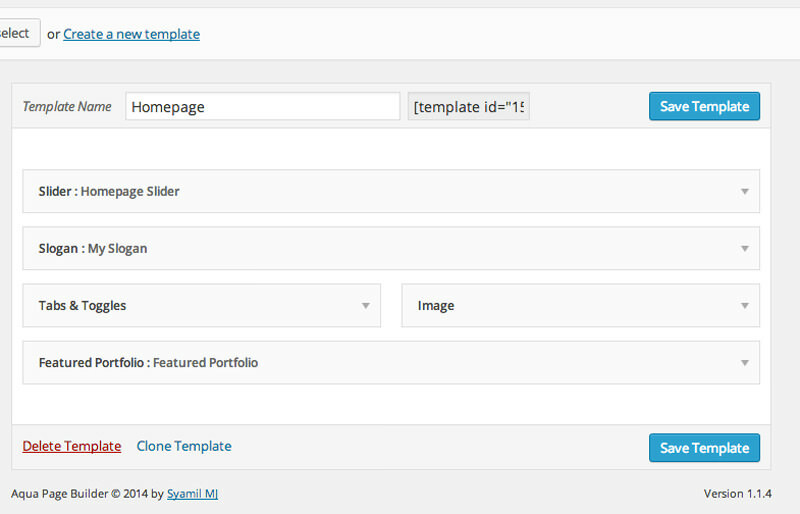 New modules can be added easily through the WordPress Widget API. 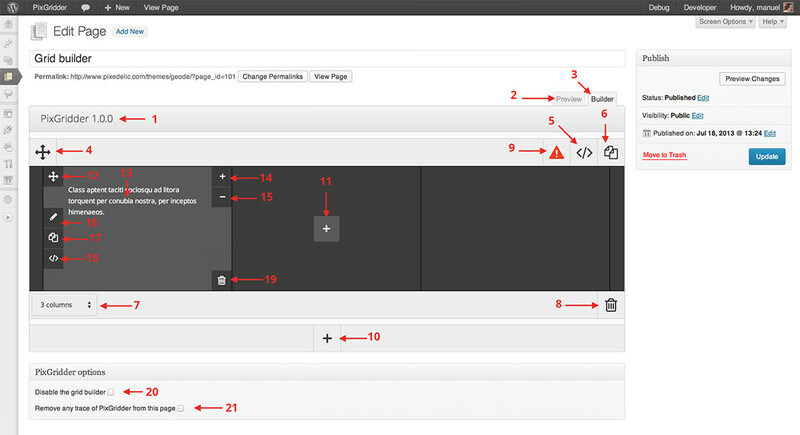 Live Composer Lite allows us to build page layouts from the frontend of the website. Once this plugin is activated, simply go to page you want to edit, and click activate editor button at the bottom right. 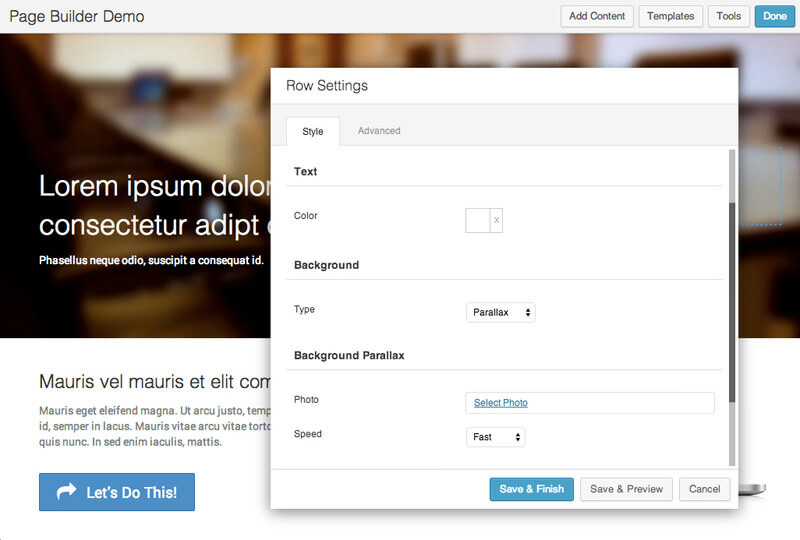 Now, you can easily drag elements such as text, button, images, tabs, from the bottom to the page area. Minimax is a page builder tool that allows, even those who cannot code, to customize their WordPress page or post. Divide the page up by defining the number of columns you want to use with the Cols button, then add elements to each column from predefined modules including Image, Accordion, Tab, Text, and a lot more. Lastly, export your ready-made layout for use on your site. Beaver Builder [demo] is another good plugin that lets you build layouts on the front-end. The plugins comes with 15 preset page templates that you can use out of the box. Basic modules such as heading, separator, a text editor along with some advanced stuff like contact form, pricing table, and slideshows are also included.